This day had to have been the windiest of all windy days. For a second there I thought I was walking alongside Lake Michigan. Thankfully I came prepared with reinforcements. 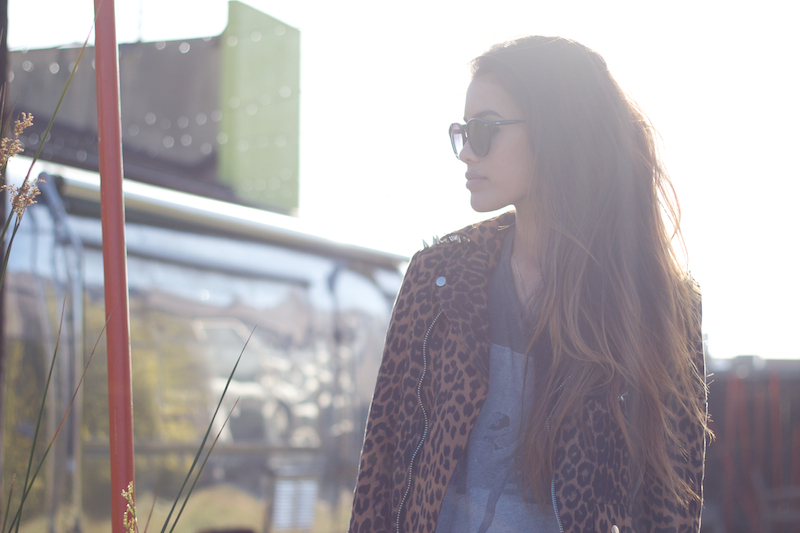 Nothing says spring like a leopard, studded jacket! I kid, I kid. I tend to shy away from a lot of color- or what's appropriate- so I'm sure I'll get some good use out of this thing even though it screams fall. 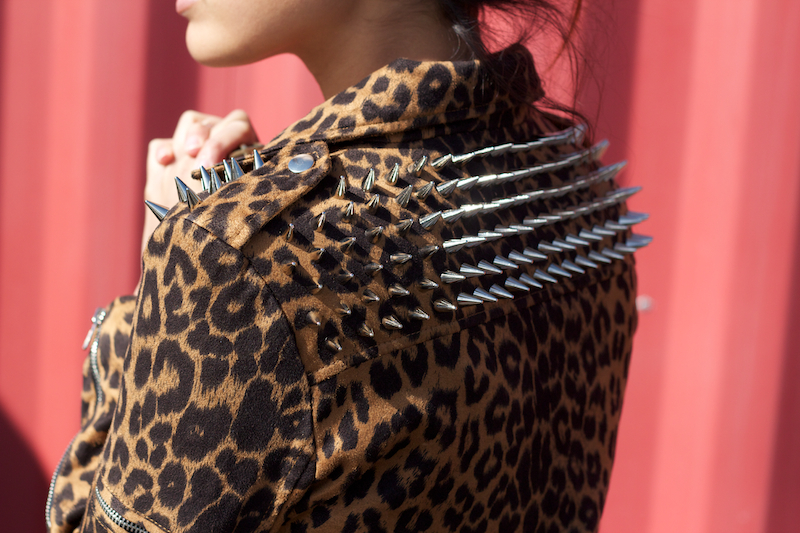 I'm also still really into studs and can only conclude that it's my inner biker babe trying to escape. I do not object.